Many students engage in research to earn credits by enrolling into the TAS Research Honors Program. 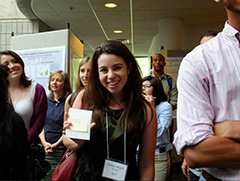 Students complete a two semester sequence of independent research with a faculty member and at the end of the year present their findings in several research conferences inside as well as outside the college. Students also write an in depth, journal quality research paper on their project. 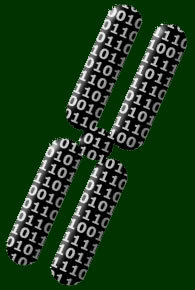 A Ramapo bioinformatics research student won First runner up prize for her summer research at Cornell University, NY. Her research involved assembling the genome and identifying genes of a beneficial fungus Glomus versiforme which can help reduce the use of phosphorus fertilizers. 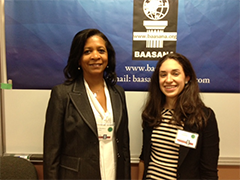 A Ramapo bioinformatics research student won the Best Paper Award at International BAASANA conference (business and applied sciences academy of North America). Her paper was titled "Advancing Biotechnology Rate of Adoption: A Diffusion Theory Approach". 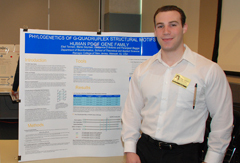 A bioinformatics research student of Ramapo College who won the First Prize for his summer research in Genomics at Cornell University's Boyce Thompson Institute. A Ramapo bioinformatics student won an award for her research presentation in Computational and Molecular Biology category at the annual ABRCMS Conference. Her project was on 'RNA Dependent RNA Polymerase in Ticks'. A Ramapo bioinformatics research student presents her findings on the evolution of proteins involved in Cystic Fibrosis. The Ramapo bioinformatics research team who won the First Prize in their category at the undergraduate research symposium at Univ. of Maryland. The award winning research was perfomed on Oncogenes. A bioinformatics research student presents his findings on the human genome at an international research conference in Banff, Canada. A bioinformatics research student (along with the research mentors), who won the First Prize for his research on Apoptotic Genes involved in cancer, at the Annual MACUB conference in NY . A bioinformatics major and Ramapo College bioinformatics faculty at an international research conference in Forataleza, Brazil.